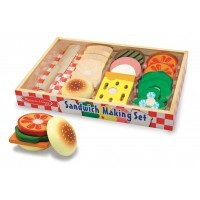 Send your junior worker into paroxysms of delight with this utterly brilliant Melissa and Doug Workbench. This superb wooden workbench comes with a working vice and plenty of pieces of wood, nuts, bolts and screws as well as some handy wooden tools: a saw; spanner; screwdriver; and hammer. A useful lower shelf provides ample storage space for unfinished projects, many of which could be inspired by the suggestions sheet that is provided with this magnificent wooden toy. 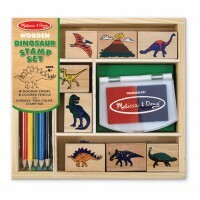 To read an in depth customer review of the Melissa and Doug Workbench, click here. Dimensions when assembled: 66cm x 47.6cm x 61cm approx. 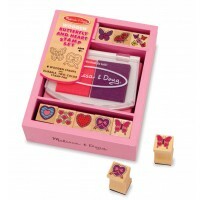 Melissa and Doug stock code: 2369. Easy to make and full of good stuff for little hands to have a go with. A great product! An excellent product easily assembled and bringing no end of pleasure to our Grandson who adores tools. As stated above, the product had a faulty fitting so could not be assembled in full.